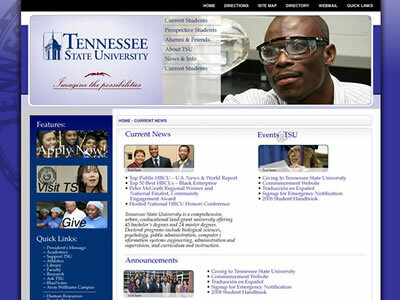 Tennessee State University asked us to provide a standards compliant CMS theme for their corporate website. We not only provided the theme, we worked with the university’s CIT department to implement the theme and to integrate it with their content management system. The design uses CSS and HTML standards and came complete with a Flash animated header.